Treat yourself to this chickpea and lamb kofta tagine this week for a Middle Eastern flavour fix. This recipe is simple but packed with spices and vegetables which the whole family will enjoy. When you think of tagines you tend to think of fluffy cous cous which is served with it but with the chickpeas all you need is a fork! Flatbread is also delicious with it and a perfect scoop for the sauce. 1. Start off by simply combining all the ingredients for the kofta, making sure you season it well. I don’t use egg or breadcrumbs because if you are using a good quality mince it will hold together in koftas after working it in the bowl. Get your hands into the mixture and start working the mince until it comes together and firms up. Shape into small sausage shape koftas. Take a frying pan and heat a little vegetable oil over a medium heat; fry off the kofta in small batches until they are golden on the outside. Remove from the pan and set aside; repeat until all have been fried. 2. Preheat the oven to 200c/ 180 fan for later. Now for the sauce! Take a large frying pan and heat a little vegetable oil. Cook the red onion, garlic and red pepper over a low to medium heat until softened and getting a little colour. I like to add salt to the onion at this stage to draw out some the moisture from the onion. Add in the cumin, coriander, paprika and cayenne and cook for a further minute before stirring in the harissa. I then add the rinsed chickpeas into the pan and toss in the spices so they get a lovely coating. 3. 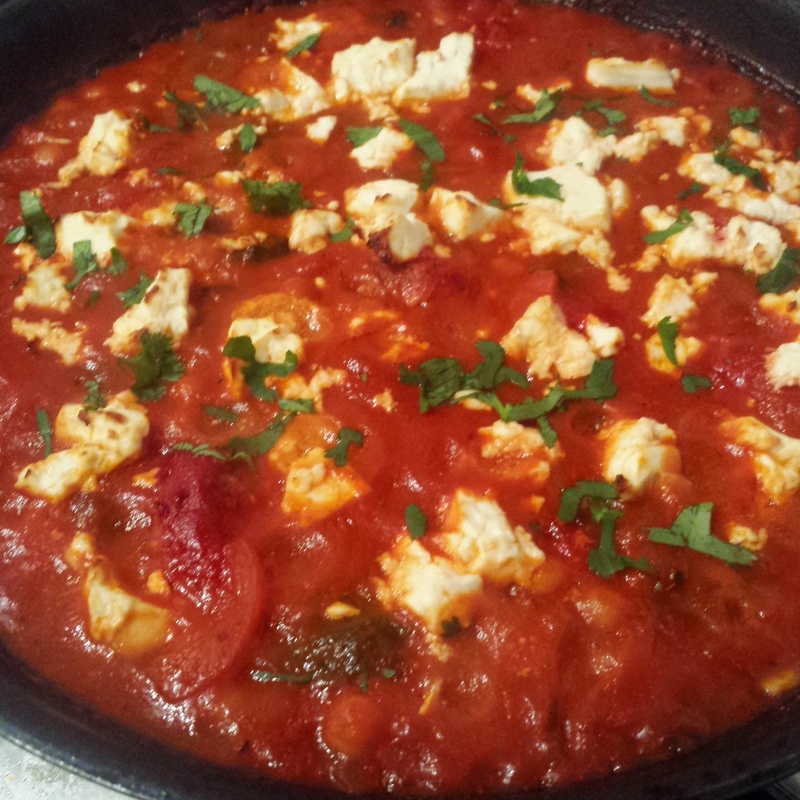 Add the tinned tomatoes in the pan and bring to a simmer. I blended the tomatoes using a hand blender for a smoother finish but you can keep them chunkier if you prefer. Shred the spinach roughly and add into the pan in a couple of batches to wilt it down. Next, pop the kofta in the pan and make sure they are covered with some tomato so they don’t catch in the oven. Top with crumbled feta and cook in the oven still in the frying pan for around 30 minutes until the kofta are cooked through and the feta is getting some colour. Finish with a sprinkling of fresh chopped coriander and away you go! 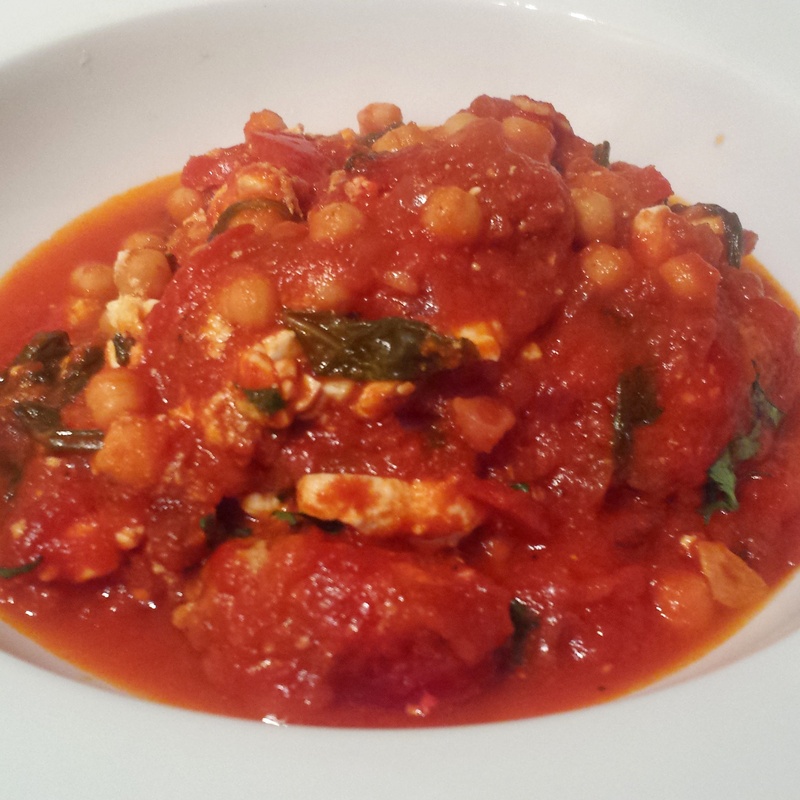 Chickpea and lamb kofta tagine- a warming and hearty meal perfect for a midweek dinner! One more photo? Go on then!